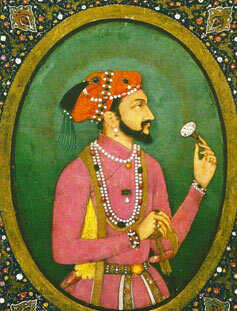 Shah Jahan, full name Shahabuddin Muhammad Shah Jahan, was born on January 15, 1592 and died on January 31, 1666. Born Prince Khurram, he was the son of Emperor Jahangir, and his wife, Taj Bibi Bilqis Makani. He was the fifth Mughal Emperor of India from 1628 to 1658. He was chosen for the throne after the death of his father in 1627. Like his grandfather, Jahan was eager to expand his vast empire. He fell ill in 1658 and was succeeded by his son, Aurangzeb. His greatest legacy that he was the one who build the Taj Mahal for the love of his life, wife Mumtaz Mahal. 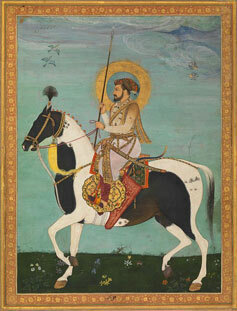 Shah ab-ud-din Muhammad Khurram (Shah Jahan) was the third son to Emperor Jahangir. "Khurram" was chosen by his grandfather, Emperor Akbar, whom Jahan shared a close relationship with. Khurram was raised by Akbar's wife, Ruqaiya Sultan Begum. Begum was aging and had been unable to bear children, so Akbar wanted to finally fulfill her wish with a son. She cared for him as if he was her own son, but at thirteen years old he returned to his biological mother and father after Akbar's death. When Khurram's father rose to power in 1605, Khurram made sure to stay away from the family politics. Being the third one in line after his father and step-brother, Khurram did not challenge the two and instead lived a life of luxury and protection, as well as continuing on with his education. This time period allowed Khurram to build a support base in the Mughal court, which helped him out later on in life. Tensions grew between his father and step-son, which led to a change in heir, leaving Khurram to be the next one in line for Emperor after his father. In 1607, Jahan became engaged to Arjumand Banu Begum (aka Mumtaz Mahal) when they were 14-15 years old, but they were not married until five years later, on a date chosen specifically by the court to be the most conducive for a happy marriage. This engagement was unusually long for this time period, and Jahan first married Kandahari Begum, with whom he had his first child with. Jahan married Mahal in 1612, and he remained devoted to her for the rest of her life. She bore him fourteen children, and seven survived to adulthood. Mahal was very politically active, and served as a confidante and advisor to her husband. As time went on, Mahal became more powerful, and which ultimately resulted in her being responsible for the imperial seal, and this allowed her to review important court documents in their final drafts. Mahal, age 37, died giving birth to her fourteenth child. Her daughter, Princess Jahanara (age 17) became so distraught that she started distributing gems to the poor in hopes of divine intervention. Shah Jahan himself went into a deep depression. Mahal was temporarily buried in the garden known as Zainabad, but she was later moved to the Taj Mahal after it was constructed. He ruled during the years 1627 to 1658. In 1612 he married Arjumand Banu Begum, from a line of Persian nobility, who he came to love very deeply. Due to Shah Jahan's belief that his wife's beauty and character was unparalleled, he called her Mumtaz Mahal, or "Jewel of the Palace". The Shah and Mumtaz were inseparable, and he loved her to the exclusion of his other wives. He had great design skill, and re-designed buildings within the Agra fort. When Muntaz died in 1631 during childbirth, Shah Jahan decided to build a great monument to her honor. Mumtaz Mahal's monument, which is also where Shah Jahan was interred, took 22 years to build and is today known as the Taj Mahal.